Nose: Alcohol, new leather, white chocolate. Palate: Full-bodied and sweet. Sweet sherry, old oak, toffee. Parting words: Copper & Kings is one of the few microdistillers that is taking brandy seriously. In fact, they do more than take it seriously, it’s the heart of their business. They have six brandies on Michigan shelves, including an unaged apple brandy and the aged Floodwall. Floodwall has a lot of things going for it. It’s 100 proof, a rarity for brandy (although Laird’s does make a bonded apple brandy), is under $50 (a rarity for aged craft spirits), mixes well and tastes a little like an old Calvados. That last item is also its greatest weakness, though. My favorite apple brandies are ones that are mature but still retain some apple character to balance out the cask characteristics. 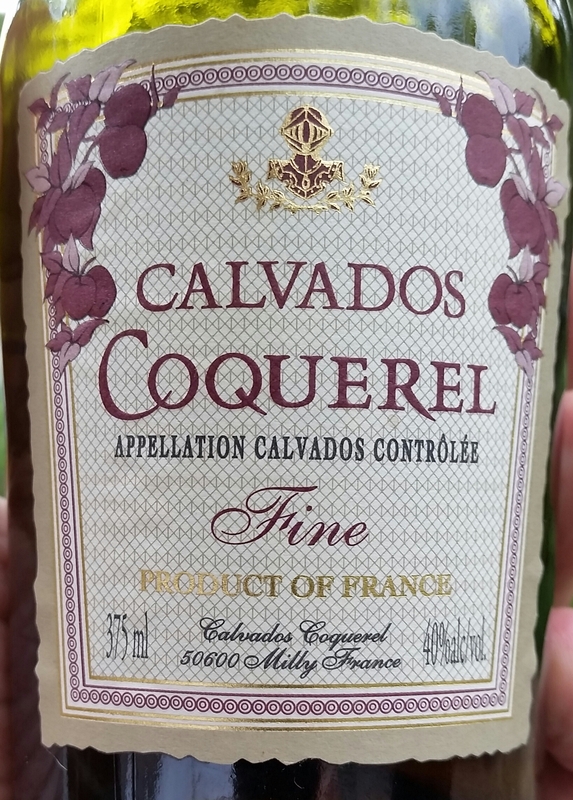 Old Calvados is usually all cask and Floodwall is too. In Floodwall’s case, the cause is not age, but heavy handed use of sherry cask. There are some interesting things in the nose and on the front end of the palate but it all quickly turns one dimensional. If you like big sherry finishes, you’ll probably like Floodwall, but I wasn’t very keen on it. Floodwall is not recommended. My home state of Michigan, like sixteen other states, is what is called a “control state”. This means that the state government is directly involved with the sale of liquor in some way. Many of those states operate state-owned liquor stores but others, like Michigan, merely act as the wholesaler for the state. As a wholesaler, the state of Michigan maintains a list of all the spirits available for purchase from itself called the price book. The price book is issued by the state a few times each year. Supplemental lists (now called new items lists) are issued periodically listing items to be added to or deleted from the price book. These lists contain a variety of information but the most important to consumers is the minimum price at which the spirit must be sold at retail. This post is a look at the new items for February 28, 2016. The LARA website with links to lists in the recent past is here. Caps retained out of laziness but with full names given where the state has abbreviated them. Proof (Michigan lists everything in terms of US proof which= 2 x %ABV), bottle size in ml and retail price are given for each one. I have added notes at the end of each if I think it necessary. Some items are not actually new, but fell off the list for some reason and have been added back or are new bottle sizes for items already on the list. Sometimes an item will be added and removed at the same time. I think this is a way to make corrections, but it’s still puzzling. For the sake of brevity, I have excluded apparent corrections from this post. Some new items are also gift pack versions of existing items. These are always the same price as the bottle alone. HOTEL TANGO MIKE MOONSHINE 90, 750, $23.12 Listed under alcohol for some reason. See Hotel Tango Golf Gin below. REBEL YELL BBN 80, 1000, $21.96 Two of the crummiest bourbons available in the state are now available in liter bottles. What a time to be alive. Both Rebel Yell and Ezra Brooks are from Luxco. JEFFERSON’S OCEAN AGED CASK STRENGTH 112.0, 750, $99.99 “I’M ON A BOAT”. Jeff’s famous boat bourbon is now available in cask strength, although I would have called it naval strength. Seems like a missed opportunity. From Castle brands (Gosling’s, Knappogue). 1792 SINGLE BARREL 98.6, 750, $41.99 The latest in the flurry of 1792 line extensions spit out since Sazerac bought the brand. Hopefully, I will able to find and buy one of these, since the Sweet Wheat and Port finish seem to have been vacuumed off shelves instantaneously. Distilled in Bardstown at Barton-1792, of course. TINCUP 84, 1750, $57.99 The sourced blend of straights from the former Stranahan’s guy is now available in handles in the Mitten State. JACK DANIELS SINGLE BARREL RYE 94, 750, $54.99 At long last, JD has released a mature (on paper anyway) rye whiskey. The unaged and “rested” versions got mixed reviews, but hopefully this is better. KNOB CREEK RYE 100, 1750, $74.99 One of my favorite Kentucky style ryes is now available in a family size bottle. Whoot! CROWN ROYAL W/BEANIE 80, 750, $27.99 Let the world know your questionable taste in whisky all winter with this gift pack that features a one-size-fits-all black CR beanie. Or make your own. HUNTER RYE PLASTIC 90, 100, $1.89 Imported by Sazerac, this line extension to the old Seagram’s Canadian Hunter brand is now available in small 100 ml bottles. 50 ml bottles are also available hanging off the necks of bottles of Canadian Hunter blended. Canadian Hunter is sometimes called “the poor man’s Crown Royal” which makes me sad. BRUICHLADDICH OCTOMORE EDITION: 07.1 119, 750, $164.99 This is the latest release from Bruichladdich’s super duper peated Octomore series. BRUICHLADDICH OCTOMORE EDITION: 07.3 126, 750, $174.99 7.3 is the 100% Islay barley version of Octomore 7. Owned by Rémy Cointreau. KIRKLAND BLENDED SCOTCH WHISKY 80, 1750, $25.99 Sourced through Alexander Murray & Co. It’s good the state has finally allowed Kirkland/Costco brands in. KNAPPOGUE CASTLE-12 YR 92, 750 $47.99 One of my favorite Irish Whiskeys is back, although it never really left the shelves. From Castle brands (Gosling’s, Jefferson’s). TULLAMORE DEW (IRISH)-15 YR 80, 750, $79.99 The knock on Tullamore has always been that it’s boring. I doubt this 40% ABV expression is going to help that perception. If tiny Castle Brands can release the 12 y/o Knappogue at 46% ABV for $48, then why can’t big boys like Wm. Grant release Tullamore 15 y/o at a higher ABV when asking $80? The mismanagement of this brand continues. St. George Master distiller Lance relaxing in the warehouse. brandy from Alameda California’s St. George microdistillery. Their fruit brandies were originally released under the Aqua Perfecta label, but have now thankfully been reissued as St. George fruit brandies. I’m always excited when a new apple brandy comes to Michigan, but a 3-4 y/o apple brandy selling for $50 does give me pause. HOTEL TANGO ROMEO RUM 90, 750, $27.72 See Hotel Tango Victor Vodka below. BAYOU RUM SPICED 80, 750, $19.99 Bayou rum is a product of Louisiana Spirits, located about twenty miles east of Lake Charles. According to their website, they use all Louisiana sugar cane and a proprietary cane yeast strain for their line of rums. In addition to the silver, spiced (see above) and the Satsuma orange liqueur(see below), they also make Bayou Select, an aged, pot still rum. How long is it aged? They don’t say. Anyway, I’m glad to see a microdistiller focus on rum instead of hopping on the bourbon bandwagon. We need more rum. PELICAN HARBOR RUM 80, 750, $18.99 See XIII Kings below. ESPOLON EXTRA ANEJO 82, 750, $99.99 Elderly line extension for Campari’s Espolon comes in a little on the rich side. HERRADURA ULTRA ANEJO 80, 750, $54.99 Brown-Forman jumps into the weird trend of crystal clear añejo tequilas with this item. At least it’s not $100. PURA VIDA SILVER 80, 750, $33.66 The line of tequilas jointed owned by Billy Gibbons of ZZ Top and a man named Stewart Skloss has come to Michigan with the three standard variations. Distilled by Feliciano Vivanco & Associates who also make the Siembra Azul tequila line and the ArteNOM 1414 selection, among others. ANDREW JOHN’S 80, 750, $19.99 There’s no information about this product online at all. It’s distributed by General Wine & Liquor. I’m guessing it’s either a gin named for the rugby player Andrew Johns or it’s something the BuzzBallz people are responsible for. Either way, the total lack of information doesn’t bode well. SIPSMITH V.J.O.P. 115.4, 750, $59.99 Sipsmith is a gin microdistillery in Chiswick in western Greater London. Three new products from them are on the list, two gins and a sloe gin. The London Dry is their entry level offering. This is their higher end, higher proof gin, which the website describes as a “symphony in J major” (oof). V.J.O.P.= Very Junipery Over Proof Gin. The sloe gin (see below) is made by infusing their London Dry with sloe (blackthorn) berries. Most commercial sloe gin is made with GNS, so good on them for using the traditional method. The website is cheesy but the products sound intriguing. GRAY SKIES BARREL FINISHED GIN 80, 750, $29.99 Hopped and barrel-finished gin from the Grand Rapids microdistiller of the same chipper name. They also make Gray Skies Utility Vodka below. Coming soon: Rum. Not coming soon (they want to age it): Bourbon & Rye. HOTEL TANGO VICTOR VODKA 90, 750, $23.12 Hotel Tango is a newish microdistillery in Indianapolis in the historic Fletcher Place neighborhood. Their whiskey is aging (of what type the website doesn’t say), but they also offer gin, rum (above) and limoncello (below). Their focus seems to be cocktails. I’ve never been there or tried any of their stuff but it’s nice to have more craft spirits (especially rum) available in Michigan, assuming they’re not awful of course. GRAY SKIES UTILITY VODKA 80, 750, $24.99 See Gray Skies Barrel Finished Gin above. XIII KINGS VODKA 80, 750, $19.99 The BuzzBallz (actual name) unspillable/unbreakable premade cocktail people are releasing their own vodka and rum (see Pelican Bay rum above). I imagine that it’s the same liquor they use in their cocktails so it’s bound to be top quality stuff. HOTEL TANGO LIMA CHARLIE LIMONCELLO 70, 750, $27.72 See Hotel Tango Victor Vodka above. BAYOU SATSUMA ORANGE RUM LIQUEUR 60, 750, $19.99 Erroneously listed under rum. See Bayou Spiced rum above. SIPSMITH SPECIAL EDITION 2013 SLOE GIN 58, 750, $49.96 See Sipsmith VJOP above. Woodford photo belongs to me. Photo of Lance Winters thanks to St. George Spirits. Hotel Tango photo thanks to Fred Minnick. Appearance: Dark copper with thin, even legs. Palate: Medium bodied. Medium dry. Heavily spiced apple pie, dry cider. Finish: Baked apple, brown sugar, ginger, oak, fades with a little burn carrying through. Parting words: Founded in 1780 by a Scottish immigrant, Laird’s is one of the US’s oldest commercial distillers, if not the oldest. They are the big dogs of American apple brandy, producing 90% of it, according to their website. Their bottled-in-bond apple brandy was a favorite of mine for a long time. I’ve been actively hoarding it since it was changed to a 3 y/o. Laird’s Rare is probably the oldest American apple brandy available. If there’s one older, I haven’t had it. It’s good, but the age seems to have stripped it of most of its apple character. Oak is there, but just in the background. I wanted to love this grand old brandy, but it’s too mild on the palate and lacks the complexity of 8-10 y/o apple brandies I’ve had. At $70, I need more. Laird’s Rare Old Apple Brandy is mildly recommended. On the palate: full-bodied. Sweet brown sugar, a good amount of burn, cinnamon, coriander, cardamom and tart apples. Finish: warm, dry, that sweet cinnamon again, reminding me of my grandmother’s homemade apple sauce. Parting Words: This a fantastic spirit. The standard Black Star Farms Apple Brandy is a pleasant sipper that performs nicely in cocktails and in mulled cider. But this 10 y/o apple brandy reaches sublime hights. Black Star Farms’ 10 y/o apple brandy was aged in a new toasted oak barrel, like those used for wine. This results in a spirit that, even at 10 y/o, still has a lot of crisp apple character. It is on par with a fine cognac or Armagnac and is best sipped neat or with a little water in a snifter or Glencairn glass. There are few micro-distilling outfits that have been in business long enough to offer a 10 y/o product that they made themselves. Even some that are approaching that number have not been putting any back for longer aging. Black Star Farms had the foresight to let this brandy lay. It’s not cheap, I paid $75 at the tasting room for my bottle, but unlike most $75 whiskeys, this stuff is worth every penny. Highly Recommended.